I’ve been off the blogging circuit for a while to tend to my own health as well as care for my two guys, but I had to fire up Word and comment on something I saw in my feed. What I saw is probably one of the most irresponsible things put out by the medical establishment in a long time. Yes, you read that right. I did a double take myself. 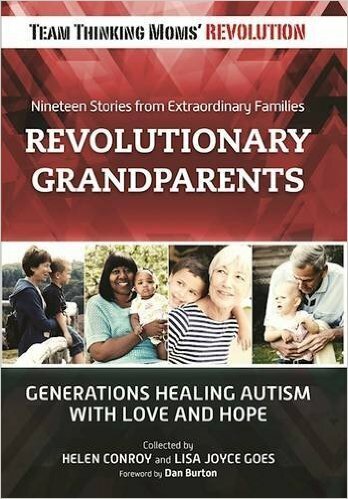 On Wednesday October 16th, 2013 the Mayo Clinic released an article claiming that the flu shot should be thought of as the anti-autism vaccine. Chew on that for a minute. The flu shot. The one shoved down your throats at every Walgreen’s, CVS, Target, Walmart, Publix, (insert your local store here) that you walk into. The flu shot. The one that hasn’t even been studied or safety tested for the pregnant mother population. The flu shot. The one that’s caused a 4250% increase in miscarriages and stillbirths according to VAERS. Just when I thought the medical establishment couldn’t sink any lower….tapping into one of the biggest fears an expectant mom could have to sell a flu shot. Autism….if it isn’t the biggest fear, well, it sure as hell should be. 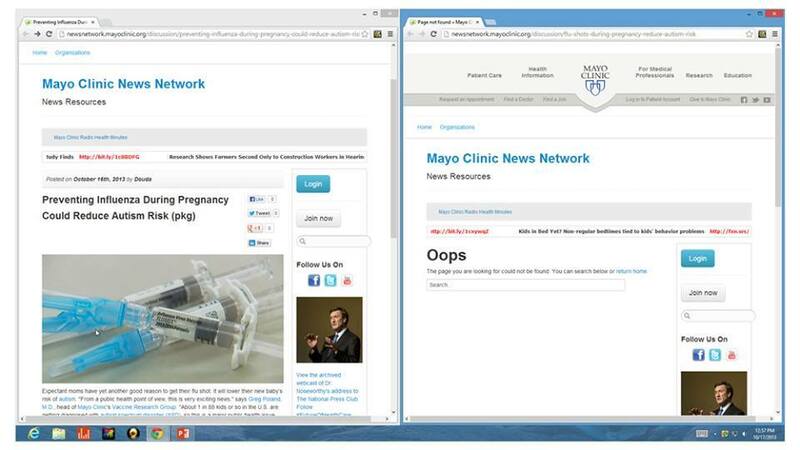 I asked the Mayo clinic why they pulled the link on their Facebook page. The reply I got was typical backpeddling BS and was told people were misinterpreting the content. 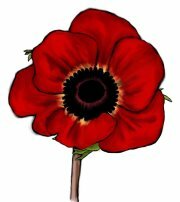 For more blogs by Poppy click here. 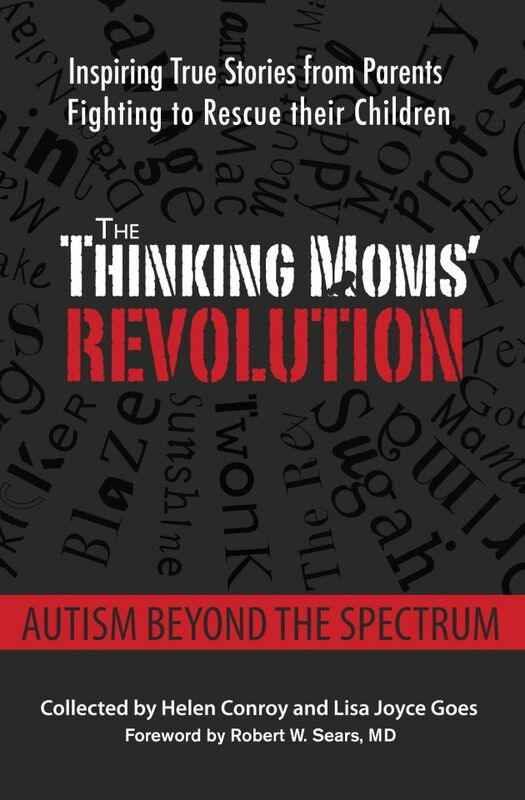 This entry was posted in Blogs by Thinking Moms' Revolution, Poppy TMR and tagged autism, Dr. Gregory Poland, flu shot, Mayo Clinic, poppy, pregnancy, research, The Thinking Moms Revolution. Bookmark the permalink. 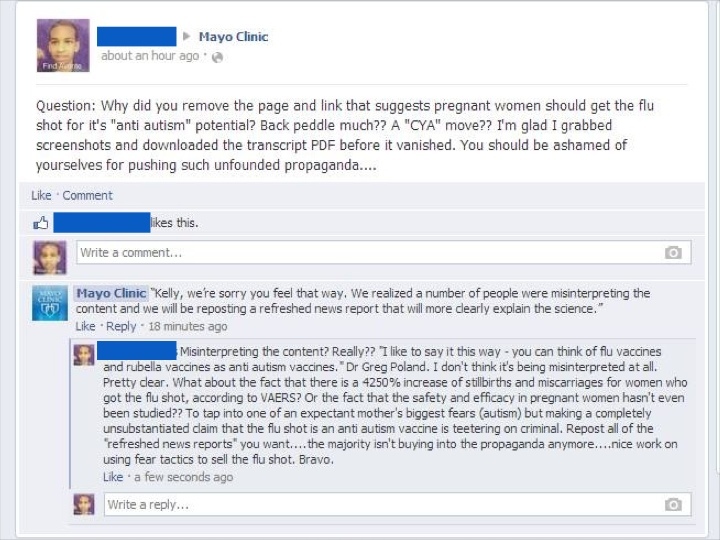 Both these sites claim that miscarriage has no correlation with the flu vaccine. Further digging reveals dead links to their “news releases,” though. I just don’t know where to look for unbiased information. Keep it up. You’re an inspiration! They put it back up I think?? 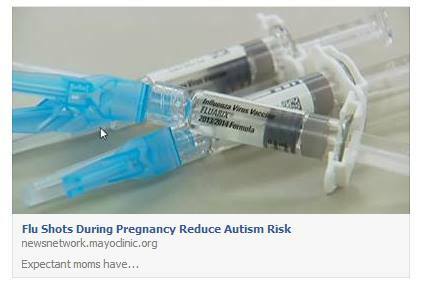 http://newsnetwork.mayoclinic.org/discussion/preventing-influenza-during-pregnancy-could-reduce-autism-risk-pkg-258e06 or maybe the url wasn’t the same when you tried finding it again?? At the url of the two it is missing part of it in the second one. They have one fact right with a completely outrageous conclusion. I have read that having the flu during pregnancy can increase your risk for having a child with autisim and schizophrenia. I have read this from other sources I consider more reliable than the CDC for instance…. But continuing on that line of reasoning it is a certain stimulation of the mothers immune system during pregnancy that increases the risk so therefore the flu shot, or any vaccine during pregnancy increases the risk of having an autistic child. Quite the opposite if their claim that getting the flu shot reduces the risk if autism- disgustingly so. Under that line of thinking it is increasing the risk for every child. Hmmm…. Great article. I was directed to it from the Pathways to Family Wellness Facebook page. This is wonderful! I am writing a post for my website: ChildbirthSolutions.com. I hope you won’t mind if I mention your blog and give a link to this page. You are a tiger! I love that you did all this research and didn’t just call the Mayo Clinic names! It hurts me how many people do not know the truth about vaccines. But that does not mean we should stop trying to reach out to those who are still living in the land of believing all doctors and drugs are there to help them. This is directly quoted from the “Conclusion” of the main NIH research that they are using to get this quackery: “Our results do not suggest that mild infections, febrile episodes, or use of antibiotics during pregnancy are strong risk factors for ASD/infantile autism. The results may be due to multiple testing; the few positive findings are potential chance findings.” The second piece of research concluded that, “available evidence does not support the hypothesis that MMR vaccine causes autism”; and then third: “findings suggest that prevention of maternal influenza during pregnancy may reduce the risk of BD.” [emphasis mine] None of these prove the VACCINE reduced ANYTHING. And the mention of bipolar disorder might no longer be in the text, but it is still tagged and the research is still referenced at the bottom. I am 7.5 months pregnant now and have managed to only see the midwife once, but there are signs in the office where I go that pregnant women should get the DTaP if they have’mt had a booster in a while. Their reasoning? They can’t give the DTaP to newborns like they do the Hep B, so giving it to pregnant women will get it to the babies in the womb. the morons reposted it. They took out the mention of bipolar. The rest looks the same. the morons reposted the article. Looks like the onl part really removed was about bipolar. No Poppy – because if it had vitamins and minerals in it, it would be banned from hospitals just like O$$it has banned vitamins and minerals from CHOP. Who wants good nutrition? Let them eat vaccines! Great blog – as always. Fantastic post! Check out Meryl Dorey’s latest interview. She rocks!!! Are they making fun of people? With so many evidence about flu shots, how dare they say “they are for unti-autism vaccines”? Thanks, thinkingmama, for pointing that out and passionately figthing against it. Brave and inspiring! Well done Poppy! “you’ll pass on antibodies to your baby” they said…”yes, completely safe” they said…four hour later I was pushing my son out 5 weeks early so quickly I almost had him in the car on the way to the hospital. I remember thinking it was so fast for my first one! No he wasn’t stillborn. He was premature. He got 11days in NICU and a hep B shot before we left. Fast forward thru nine months of vaccines to regression into autism at 18 months. But hey, I didn’t get the flu. You are such an inspiration and I thank you from the bottom of my heart!!!!! Rock on momma!!!!!!! Funny how those docs always seem to forget about the “first do no harm” thing. Poppy, you’re my hero. Keep giving ’em hell! I would also like to add that the article is based on three scientific studies. 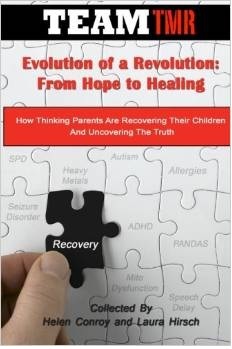 1) A 2001 study that says that there is no link between the MMR vaccine and autism. Yeah, we’re already aware of that one. Thanks! I thought we were talking about the flu shot though. 2) A 2013 article that says women who get the flu give their kid a 4X risk of developing bipolar disorder (not autism) and 3) A 2012 study that says maternal immune system activation during pregnancy, and specifically the use of antibiotics to treat the infection, DO NOT increase the risk of children developing neurodevelopment disorders. Let me say that again. The study tested to see if mom’s getting sick and using antibiotics increased the risk of children to have autism and they concluded that it did not. Further, flu is a virus. Antibiotics CANNOT TREAT THE FLU!!! How do these people come up with this stuff and still call it science? Thank you for this expose. I live in Minnesota, home of the Mayo Clinic and vaccine developers Dr. Gregory Poland and Dr. William Jacobson, abetted by Dr. William Barbaresi. Whatever conduit they have to the consumer public is limited and selective. In three years Dr. Poland has done a 180 on vaccine injuries — first writing in 2009 about studying “Adversomics,” then later stating he can’t find enough vaccine adverse events to study. Unbelievable. You hit this so hard their heads must be spinning!!!!!!!!!!!!!!!!!!! I love that someone responded to you! They are no doubt in the unemployment line. All I can think of is they didn’t know the gov’t was about to reopen that day. And when it did they removed it. Fear of the FDA(yeah right). Or someone there put this together and when found it was pulled. The doc tried to tell me they were as safe as drinking water. Yeah, and I am a lemming tell me what to do and lead me there please. Not going to happen. Ain’t it amazing. The flu has been around forever and autism hasn’t (despite the propaganda that’s been vomitted all over us by the media). Yet suddenly the flu causes autism. The side effects of mercury poisoning have been known forever and when placed side by side, mirror autism exactly. The rotting corpse of the elephant in the room gets more rancid by the hour. Their article was absolutely fictitious, reckless, bias, but most importantly…..profitable. Do continue to care for your own health and your children’s. If this is you sick? Wow…you will need to be renamed Dragonslayer. And a good reminder to take screen shots. Some of my research was done in the mid-90’s, before I knew what a screen shot was and some of the links are lost. Serial Killers. All these assholes. SERIAL KILLERS. You rock! Keep it up. You are an inspiration. Keep planting seeds. Eventually some will bloom!